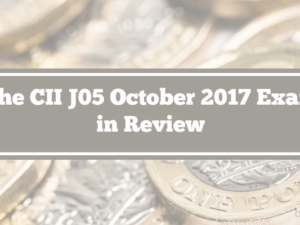 In this article, we discuss the questions set in the October 2018 exam paper for CII J05 – Pension Income Options. 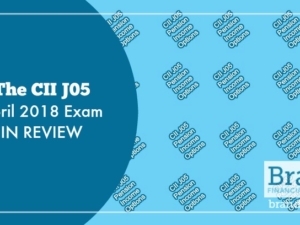 This will be useful for you if you are preparing to sit J05; it will help you to focus your revision on the areas that are likely to be examined. You can find a copy of the October paper here. Two hours are given to answer 15 short-answer questions for a total of 130 marks; a pass gives students 20 Diploma credits. Although the paper states that these are short-answer questions, some of the questions are not that short, particularly when you compare them to say the J03 paper where the questions are relatively concise. So this time round, the paper started with a calculation: 8 marks for working out an LTA tax charge. Not a bad start and anyone using past papers will know not an uncommon question to start with. Next, candidates had to outline the protection available in the event of provider default for a SIPP and an annuity. The next question was fact finding for a part-time worker utilising capped drawdown, and candidates had to state the additional information needed to advise him on switching to FAD. The exam then continued with a test of the statutory minimum increases for a pension in payment; this was for 6 marks. Next, we had a married couple, one of which was in poor health. The candidates had to outline 5 benefits and 5 drawbacks for them taking pension income using FAD rather than by buying an annuity. The next question was another factor question and gave a lot of information regarding a single person with a DB scheme. Candidates had to explain the factors that would need to be taken into account when advising on whether or not to take the PCLS offered by the scheme; this was for another 10 marks. In contrast to the last, the next question was very to the point: for 6 marks candidates simply had to explain what is meant by ‘safe withdrawal rate’ in relation to pension drawdown. Next up was a question on pensions and divorce for 5 marks, which asked how a scheme would calculate a pension with a pension debit. We then had Henry and Meg who had recently married (really CII!). The question was why nominating death benefits to a spousal bypass trust would be suitable given the circumstances given in the question. Next, a question was asked on State benefits and specifically the State Bereavement Support Payment. Another calculation followed; this time the amount of funds in a personal pension that must be crystallised to provide a required net payment. 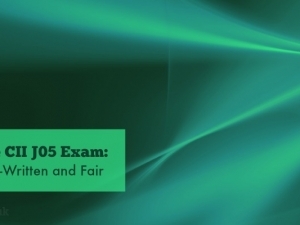 For 10 marks, candidates then had to outline the information prompts contained in the FCA’s Conduct of Business Sourcebook that firms must provide to consumers prior to annuity purchase. 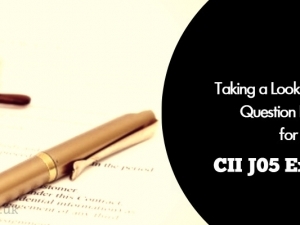 The final two questions included yet another factors question; this time it was the factors a client should consider when deciding whether to place an inheritance into a personal pension plan or an ISA. Finally, there was a question on a defined benefit transfer. Candidates had to explain, giving reasons, the steps that the client must take before the scheme would agree to transfer the funds to a PP, and then assuming the transfer proceeds, outline the death benefit options available if death occurred before the age of 75, including the tax treatment. Quite a nice question to finish with, we felt. Let’s compare this with April 2018 paper which can be found here. As you can see, many similarities exist from paper to paper, so it is essential that future candidates use these to prepare and revise for this exam. If you’re studying for your CII J05 exam, and you want to be fully prepared, grab our free taster to try out one of Brand Financial Training’s resources for yourself. 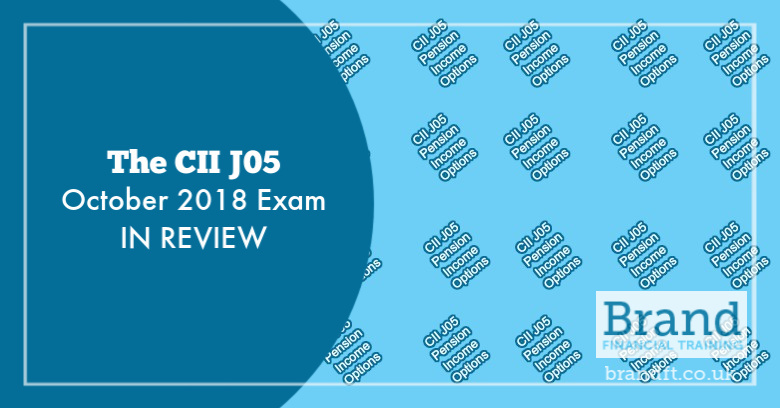 Click the link to download the J05 mock paper taster now!